Ahhh. Finally. I’ve been missing this! 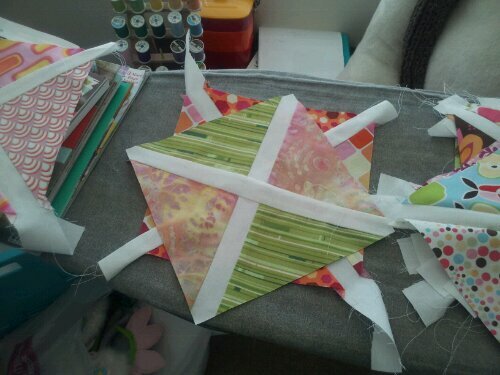 So I finished the pinwheel quilt in Cleveland and left it there for mom. Just realized now that I didn’t get any pictures of it finished – it was raining too much to take it outside. But I was so relieved to get it done so I could move onto other projects. 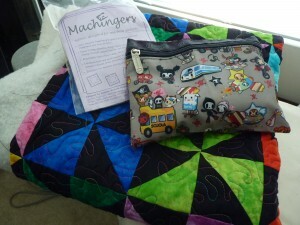 Now I’m home, catching back up on life and work, and it’s on to Ellie’s quilt. I’d started cutting this one before Cleveland… and it’s been sitting until yesterday. A broken needle and a few choice swear words later, and looks like we’re back in action. Ellie’s mom and dad are awaiting her arrival soon! 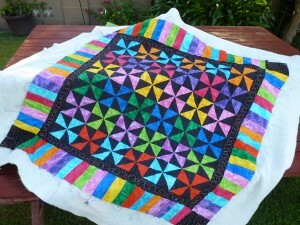 They had a preview of this quilt in the scraps I threw into the card for her baby shower. I’m so excited about Ellie, and I’m also excited that I get to use PINK!! 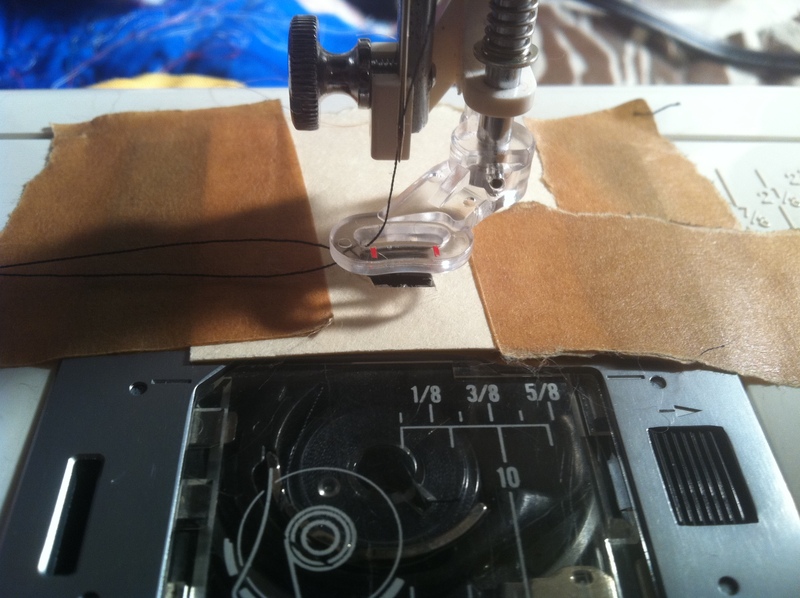 Surprisingly, I made it work a bit. But not enough. But still, had to share this beautiful creation. Yes, that's a paper clip. 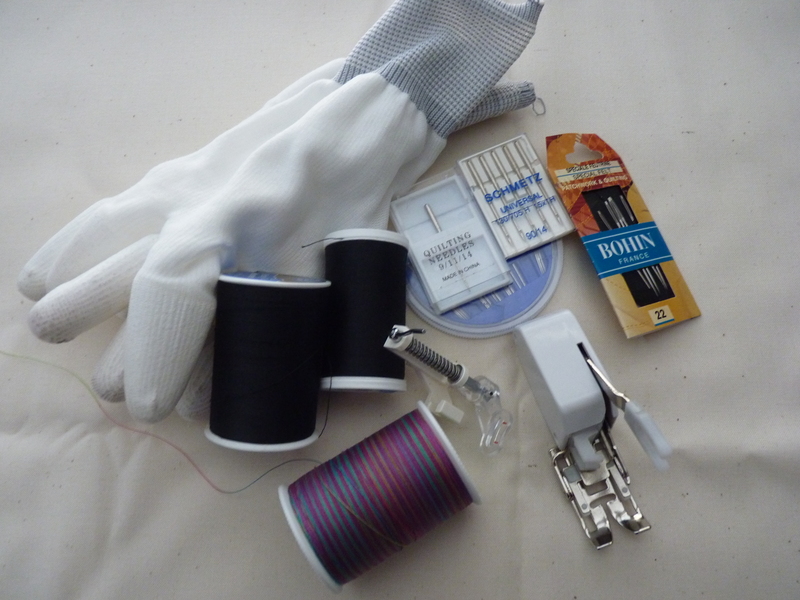 It’s been a few crazy weeks here – tons of work and some travel, and not enough time for sewing. 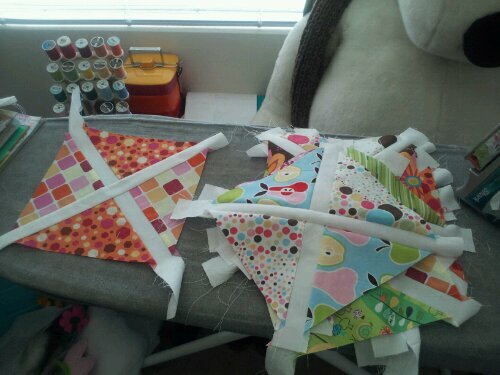 I had high hopes that I’d finish the pinwheel quilt for mom prior to going for a visit today… didn’t happen. 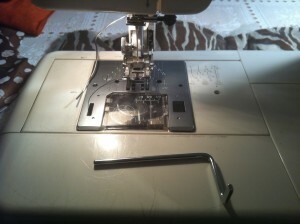 So then I thought – mom has sewing machine! 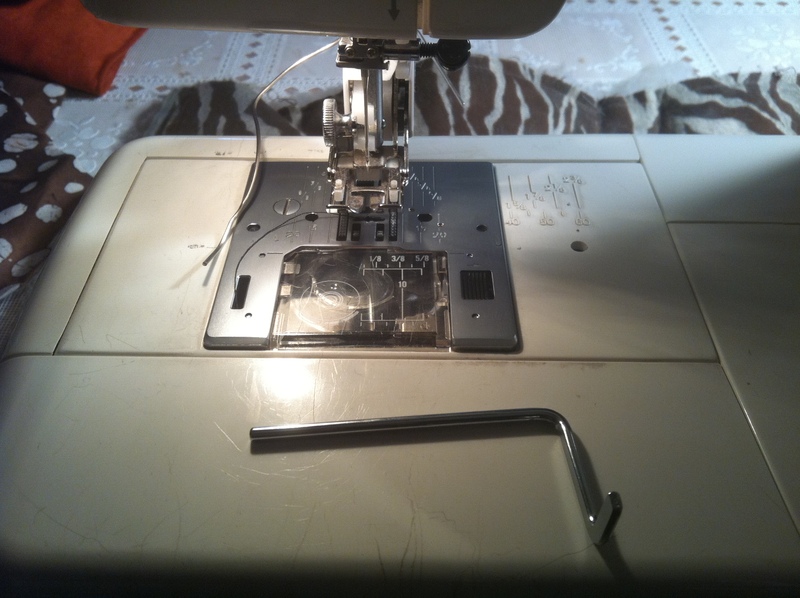 I’m 90% confident that my machine’s presser feet will fit on her machine, so I’m packing up the operation and moving it to Cleveland for the week! with two more hours finishing the quilting, I’ll move to binding, and I won’t even have to deal with shipping! It’s all packed to go. I really hope that I don’t have to carry it back! Next time you see it, it’ll look a bit more complete. 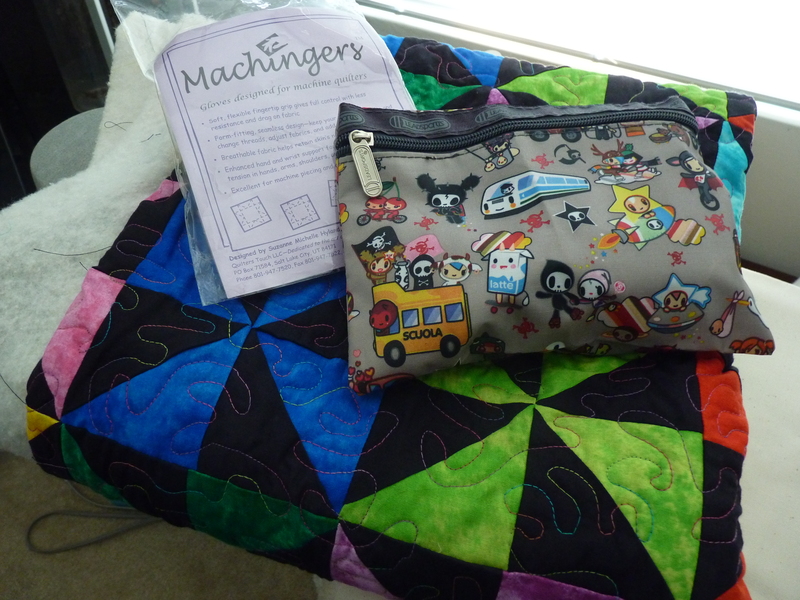 Oh, and I showed the Machingers package because they rock. 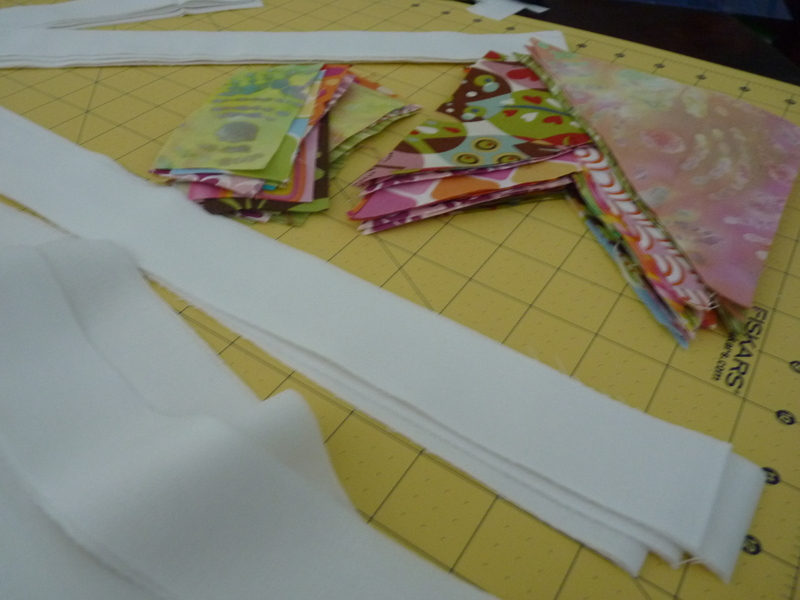 If you’re new to free motion quilting and you don’t have a pair, get some.